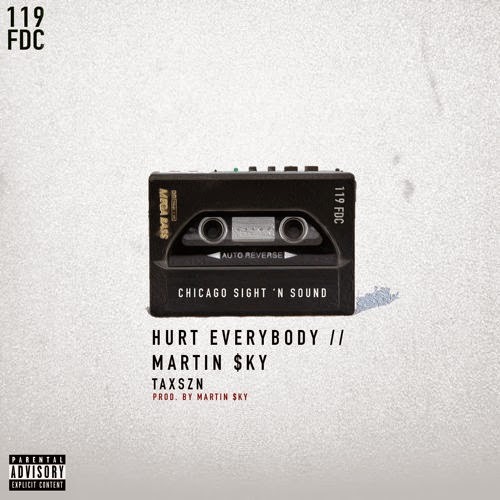 119 x FDC continues to hit listeners with dope new release from the project "Chicago Sight N Sound". So far we heard Lucki on "God Knows", Mick Jenkins on "Time", Jarred AG on "Muhfucka" and today we get a Hurt Everybody and Martin $ky collaboration. Supa Bwe handle the entrancing chorus, Carl kick things off, and Martin $ky handles the production and provides a verse for "TAXSZN".